Area 632 acres. 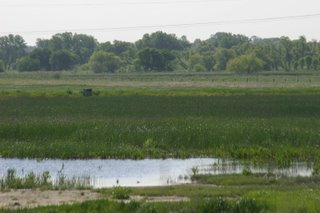 Consists of mostly seasonally wet lowlands that occur along a creek drainage, and include some beaver ponds up to six feet deep approximately. 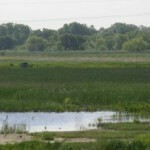 The best rail and marsh bird habitat in the county occurs here; some of the best remaining saline wetlands in eastern Nebraska are found here. There is an old railroad bed, paralleling the highway on the west side of the highway that provides dry walking opportunities in this usually wet environment.